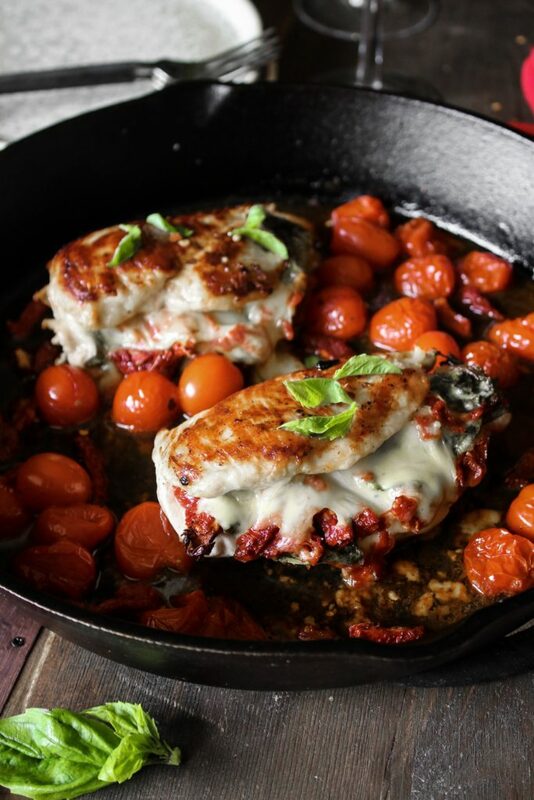 The perfect main dish for two on Valentine’s Day, or any day of the week. Mix olive oil, lemon juice, zest, salt, pepper and red pepper flakes. Marinate chicken for about one hour. Preheat oven to 375. Drain marinade and open up each breast on a flat surface (butterfly). Salt and pepper the inside. 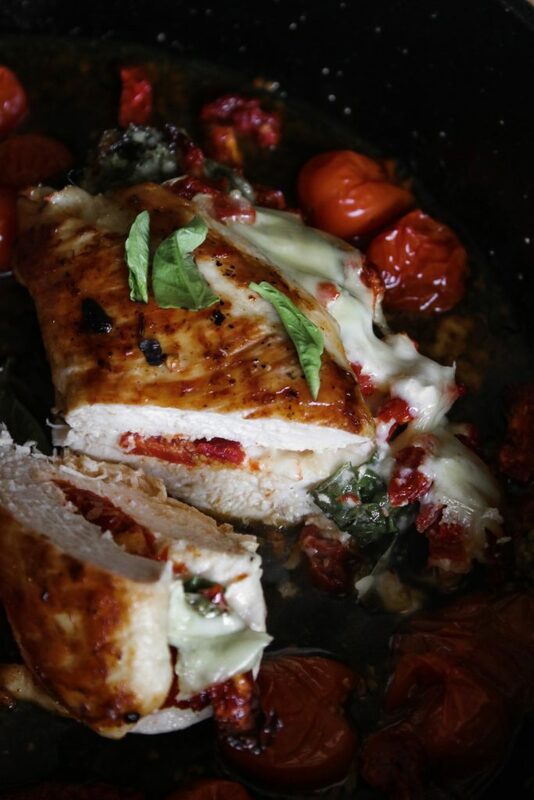 Layer 1 slice provolone, some of the tomatoes, the greens and 1 slice mozzarella on each breast. Fold the other half of the breast over. Preheat a cast iron skillet on medium and add avocado oil. Lay each breast in skillet and sear on both sides till browned. Add cherry tomatoes and wine. Carefully place the skillet into the oven and cook for about 15–20 minutes or until done (internal temperature should be 165 degrees). 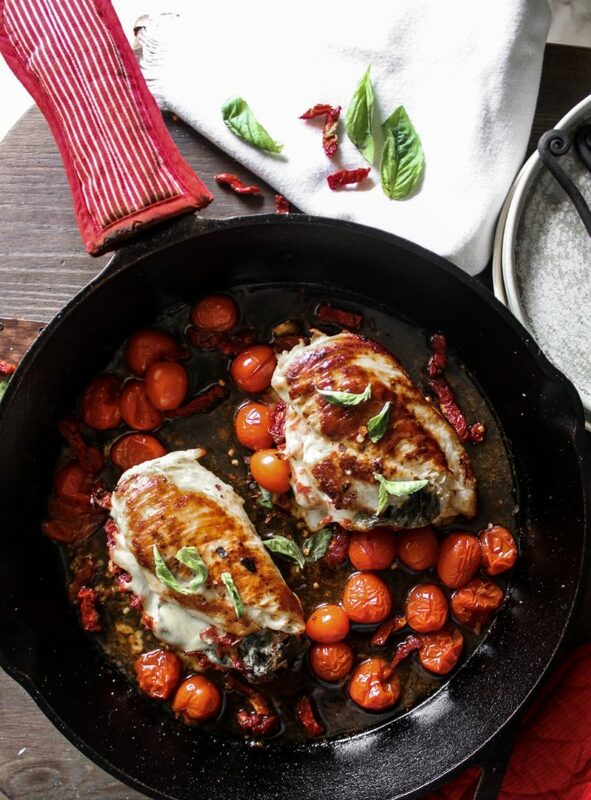 Remove skillet from oven, garnish with fresh basil and serve.